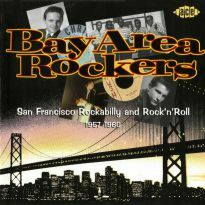 When rockabilly hit the charts in 1956 in the shape of Elvis Presley, Carl Perkins and Gene Vincent, the music industry jumped on the bandwagon. And for the handful of hits in the genre, there were thousands of sides cut that didn't make it. 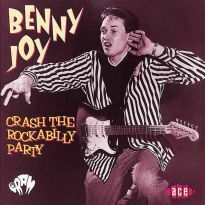 For the rockabilly fan of today it's a matter of, thank Goodness! There is so much of it out there to listen to. Two kinds of record companies rushed into record as many hillbilly singers and bands with a penchant for the boogie beat as they could. The independents, like Starday, King and Savoy, tried their hand, while a thousand smaller labels joined the fray-.-and the majors leaped in, although sometimes half-heartedly. 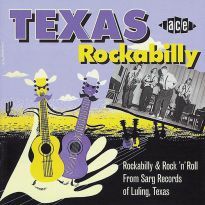 The little labels usually recorded primitive rockabilly out of necessity, and consequently usually cut what are now considered classics in the style. 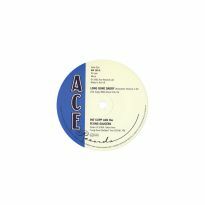 At the same time some of the majors did the right thing, almost by chance, and took their signings to Nashville to get the high-gloss treatment from local session-men like Grady Martin, Hank Garland and Buddy Harmon et al., who appear all over this great new collection of Columbia rockabilly. They produced clean and controlled rock'n'roll, but with a great feel with fiery solos. 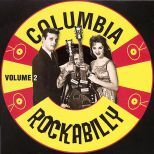 Columbia, although a conservative and established company by the time they recorded in the genre, had a large country music catalogue, and worked at picking up some of the best singers in the hillbilly field, including some big stars of the future. 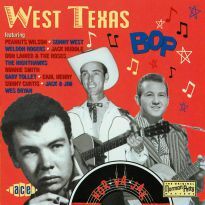 They sometimes encouraged already-signed artists, like Marty Robbins, to try their hand at recording countrified versions of the new music, and so covering Elvis Presley sides for the country market. 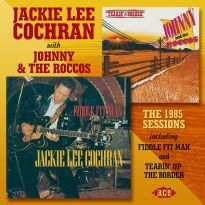 Some of the label's acts, like Lefty Frizzell, Freddie Hart and Sid & Billy King, were already working in the kind of marriage of hillbilly boogie and rhythm and blues that produced rockabilly. Then there were the artists who had already waxed the hot new hybrid for other labels prior to inking with Columbia, like Werly Fairburn, and the Blond Bomber, Ronnie Dawson. 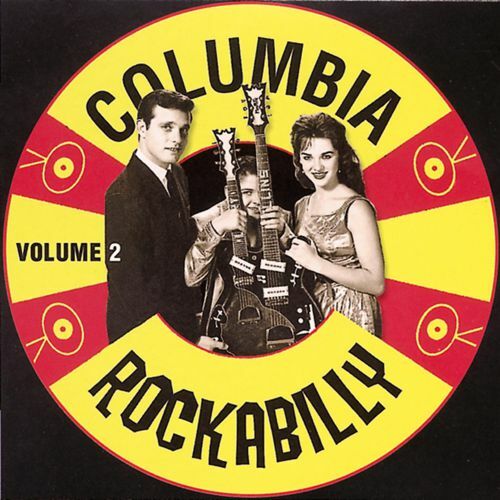 The Collins Kids, Lorrie and Larry, hailed from Oklahoma and moved with their folks to California, where they appeared as the resident rockers on the "Town Hall Party" TV shows in the early 50s. 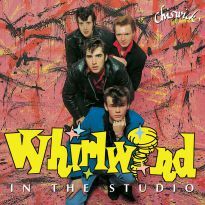 On this collection you'll hear three of the Kids' rockin' sides, a solo effort from Larry, Whistle Bait and the brilliant duelling instrumental Hurricane featuring Larry and Joe Maphis. Guitars are well represented on the collection by Link Wray, from whom we get Rawhide and New Studio Blues, both taken at his familiar threatening Rumble pace. 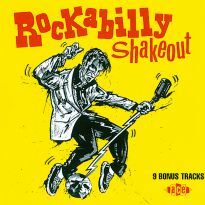 Ronnie Self's reputation among rockabilly fans is set in stone and he deservedly gets a large slice of the pie in this collection with five offerings, including his two wildest rockers, Bop A Lena and You're So Right For Me. Carl Perkins, the man who first put rockabilly in the charts, followed his Sun Records label-mate Johnny Cash, to Columbia in 1958 where his brilliant recordings rocked every bit as much as anything he cut for Sun. The Man in Black, is represented here by All Over Again, a track with all the hallmarks of classic Cash, down to Luther Perkins' unmistakable two-string guitar figure. Johnny Horton, another giant in country music, came to Columbia in 1956, and cut some fabulous sides in Nashville with Grady Martin on guitar and Jillman Franks or Bill Black on bass. Sid and Billy King and their band, the Five Strings, signed to Columbia two years earlier and cut their sides in their hometown of Tyler, Texas (where Johnny Horton hailed from), instead of travelling to Nashville, Tennessee. 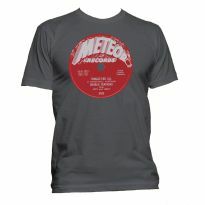 Their sound owes a lot more to the blues influence than many of their contemporaries in the country field. We get three of their great sides with Purr Kitty Purr, Good Rockin' Baby-.-and Sag, Drag, And Fall. Another family group to dominate country music in the 50s was the Maddox family, from Alabama. After moving to California in the early 30s, they helped establish the Bakersfield sound out on the Coast. After some years with the local Four-Star label, they inked for Columbia in 1951. 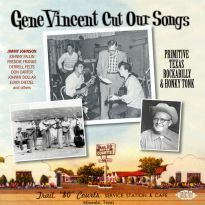 They cut sides as the Maddox Brothers and as the Maddox Brothers and Rose, featuring sister Rose Maddox, who cut solo sides too. Rose would go on to become the Queen of Bakersfield and belongs to that pantheon that includes Patsy Cline and Tammy Wynette. 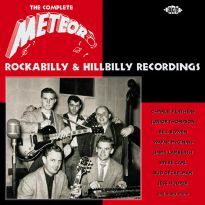 Most of these names will be familiar to rockabilly and rockin' country fans, who will relish this compilation put together on CD for the first time. 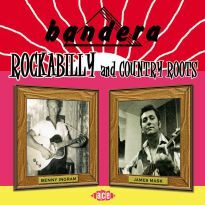 For beginners wanting to dip their dancing toes into the genre, Ace have collected fifty of the hottest items from Columbia's rockabilly catalogue, and a first time buyer could pick either volume, turn up the volume and be guaranteed a good time!